2003-2012 Enigma Software Group USA, LLC. All rights reserved. Third party code may be aggregated or distributed with Enigma Software Group's proprietary and copyrighted software. The copyright notices and license terms for such third party code are detailed below. Third party code may be aggregated or distributed with Enigma Software Group's proprietary and copyrighted software. 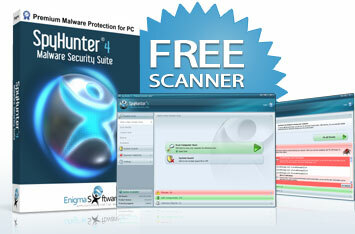 The copyright notices and license terms for such third party code are detailed in the license.txt file located in the SpyHunter folder and also located at http://www.enigmasoftware.com/sh4/license.txt. This Software may include Grub4Dos which is licensed under the GNU General Public License Version 2, a copy of which along with the source code for Grub4Dos is available at http://gna.org/projects/grub4dos/. This Software may include the Linux kernel which is licensed under the GNU General Public License Version 2, a copy of which along with the source code for the Linux kernel version is available at http://kernel.org/. This software may have used the GNU compiler collection (GCC) which is licensed under the GNU General Public License version 3, GCC Runtime Library Exception version 3.1, and licenses listed below, copies of which, along with the source code for GCC, are available at http://gcc.gnu.org/. GCC is Copyright 1986, 1987, 1988, 1989, 1990, 1991, 1992, 1993, 1994, 1995, 1996, 1997, 1998, 1999, 2000, 2001, 2002, 2003, 2004, 2005, 2006, 2007, 2008 Free Software Foundation, Inc.
On Debian GNU/Linux systems, the complete text of the GNU General Public License is in '/usr/share/common-licenses/GPL', version 3 of this license in '/usr/share/common-licenses/GPL-3?. Various config files in gcc/config/ used in runtime libraries. libffi - Copyright 1996-2003 Red Hat, Inc. THE SOFTWARE IS PROVIDED "AS IS", WITHOUT WARRANTY OF ANY KIND, EXPRESS OR IMPLIED, INCLUDING BUT NOT LIMITED TO THE WARRANTIES OF MERCHANTABILITY, FITNESS FOR A PARTICULAR PURPOSE AND NONINFRINGEMENT.IN NO EVENT SHALL CYGNUS SOLUTIONS BE LIABLE FOR ANY CLAIM, DAMAGES OR OTHER LIABILITY, WHETHER IN AN ACTION OF CONTRACT, TORT OR OTHERWISE, ARISING FROM, OUT OF OR IN CONNECTION WITH THE SOFTWARE OR THE USE OR OTHER DEALINGS IN THE SOFTWARE. The documentation is licensed under the GNU Free Documentation License (v1.2). On Debian GNU/Linux systems, the complete text of this license is in '/usr/share/common-licenses/GFDL-1.2?. THE SOFTWARE IS PROVIDED "AS IS", WITHOUT WARRANTY OF ANY KIND, EXPRESS OR IMPLIED, INCLUDING BUT NOT LIMITED TO THE WARRANTIES OF MERCHANTABILITY, FITNESS FOR A PARTICULAR PURPOSE AND NONINFRINGEMENT. IN NO EVENT SHALL THE ABOVE COPYRIGHT HOLDERS BE LIABLE FOR ANY CLAIM, DAMAGES OR OTHER LIABILITY, WHETHER IN AN ACTION OF CONTRACT, TORT OR OTHERWISE, ARISING FROM, OUT OF OR IN CONNECTION WITH THE SOFTWARE OR THE USE OR OTHER DEALINGS IN THE SOFTWARE. The above software components may have sub-components that are licensed under varying terms. A list of those components with copyright notices and license terms follows. Copyright 1991,92,93,94,95,96,97,98,99,2000,2001,2002,2003,2004,2005, 2006,2007,2008 Free Software Foundation, Inc. Copyright 1991 Regents of the University of California. All rights reserved. Portions Copyright 1993 by Digital Equipment Corporation. Copyright 1984, Sun Microsystems, Inc. Copyright 1991, 1990, 1989 Carnegie Mellon University. All Rights Reserved. Redistributions in binary form must reproduce the above copyright notice, this list of conditions and the following disclaimer in thedocumentation and/or other materials provided with the distribution. Copyright 2000, Intel Corporation All rights reserved. If you receive a version of the software that is specifically labeled as not being for redistribution (check the version message and/or README), you are not permitted to redistribute that version of the software in any way or form. This Software may include dmraid (Device-mapper RAID tool and library) which is licensed under the GNU Lesser General Public License Version 2.1, GNU General Public License Version 2, and the licenses listed below, copies of which along with the source code for dmraid are available at http://people.redhat.com/heinzm/sw/dmraid/. Copyright 2004-2008 Heinz Mauelshagen, Red Hat GmbH. All rights reserved. Copyright 2004-2008 Heinz Mauelshagen, Red Hat GmbH. Copyright 2006 Darrick Wong, James Simshaw, Adam DiCarlo IBM. Copyright 2001, 2002, 2004 Adaptec Inc. Copyright 2004 NVidia Corporation. All rights reserved. The Debian packaging is 2008, Giuseppe Iuculano and is licensed under the GPL, see '/usr/share/common-licenses/GPL'. Copyright 2006 IBM, all rights reserved. Copyright 2006-2008 Heinz Mauelshagen, Red Hat GmbH. All rights reserved. Copyright 2007 Intel Corporation. All rights reserved. Copyright 2006 Darrick Wong, IBM. All rights reserved. Copyright 2006 Heinz Mauelshagen, Red Hat GmbH. All rights reserved. Copyright 2005-2006 IBM, All rights reserved. Copyright 2006 Heinz Mauelshagen, Red Hat GmbH All rights reserved. Copyright 2004, 2005 NVidia Corporation. All rights reserved. Copyright 2004, 2005 Heinz Mauelshagen, Red Hat GmbH. Copyright 2003, 2004, 2005 Intel Corporation. Copyright 2004, 2005 Heinz Mauelshagen, Red Hat GmbH. All rights reserved. Copyright 2000,2001 Soren Schmidt All rights reserved. Copyright 2004,2005 Heinz Mauelshagen, Red Hat GmbH. All rights reserved. THIS SOFTWARE IS PROVIDED BY THE AUTHOR 'AS IS" AND ANY EXPRESS OR IMPLIED WARRANTIES, INCLUDING, BUT NOT LIMITED TO, THE IMPLIED WARRANTIES OF MERCHANTABILITY AND FITNESS FOR A PARTICULAR PURPOSE ARE DISCLAIMED. IN NO EVENT SHALL THE AUTHOR BE LIABLE FOR ANY DIRECT, INDIRECT, INCIDENTAL, SPECIAL, EXEMPLARY, OR CONSEQUENTIAL DAMAGES (INCLUDING, BUT NOT LIMITED TO, PROCUREMENT OF SUBSTITUTE GOODS OR SERVICES; LOSS OF USE, DATA, OR PROFITS; OR BUSINESS INTERRUPTION) HOWEVER CAUSED AND ON ANY THEORY OF LIABILITY, WHETHER IN CONTRACT, STRICT LIABILITY, OR TORT (INCLUDING NEGLIGENCE OR OTHERWISE) ARISING IN ANY WAY OUT OF THE USE OF THIS SOFTWARE, EVEN IF ADVISED OF THE POSSIBILITY OF SUCH DAMAGE. Copyright 2006-2008 Heinz Mauelshagen, Red Hat GmbH All rights reserved. Copyright 2006-2008 Heinz Mauelshagen Red Hat GmbH. All rights reserved. This Software may include the NTFS-3G driver which is licensed under the GNU General Public License Version 2 and GNU LIBRARY GENERAL PUBLIC LICENSE copies of which along with the source code for NTFS-3G are available at http://www.tuxera.com/community/ntfs-3g-download/. This Software may include device-mapper which is licensed under the GNU Lesser General Public License Version 2.1 and GNU General Public License Version 2, copies of which along with the source code for device-mapper are available at http://sourceware.org/dm/. Copyright 2001-2004 Sistina Software (UK) Limited. This Software may include FUSE which is licensed under the GNU Lesser General Public License Version 2 and GNU General Public License Version 2, copies of which along with the source code for device-mapper are available at http://fuse.sourceforge.net/. This Software may include Klibc.utils which is licensed under the GNU General Public License Version 2 and under the license listed below, copies of which along with the source code for Klibc.utils are available at http://www.kernel.org/pub/linux/libs/klibc/. Copyright 2004-2006 The Regents of the University of California.All rights reserved. This Software may include the Linux-NTFS driver which is licensed under the GNU General Public License Version 2, a copy of which along with the source code for the Linux NTFS driver is available at http://www.linux-ntfs.org/doku.php. This Software may include the libselinux Debian package which is licensed under the GNU General Public License Version 2, a copy of which along with the source code for libselinux is available b at http://wiki.debian.org/SELinux/Setup. This Software may include the libsepol which is licensed under the GNU Lesser General Public License Version 2.1 a copy of which along with the source code for the libseplr is available at http://userspace.selinuxproject.org/releases/current/devel/. Copyright 2003, 2004 Red Hat, Inc. Copyright 2004, 2005 Trusted Computer Solutions, Inc. This Software may include the libx86 package which is licensed under licenses listed below, copies of which along with the source code for libx86 is available b at http://www.codon.org.uk/~mjg59/libx86/. THE SOFTWARE IS PROVIDED "AS IS", WITHOUT WARRANTY OF ANY KIND, EXPRESS OR IMPLIED, INCLUDING BUT NOT LIMITED TO THE WARRANTIES OF MERCHANTABILITY, FITNESS FOR A PARTICULAR PURPOSE AND NONINFRINGEMENT. IN NO EVENT SHALL JOSH VANDERHOOF BE LIABLE FOR ANY CLAIM, DAMAGES OR OTHER LIABILITY, WHETHER IN AN ACTION OF CONTRACT, TORT OR OTHERWISE, ARISING FROM, OUT OF OR IN CONNECTION WITH THE SOFTWARE OR THE USE OR OTHER DEALINGS IN THE SOFTWARE. This Software may include Udev which is licensed under the GNU General Public License Version 2, a copy of which along with the source code for Udev is available b at http://www.kernel.org/pub/linux/utils/kernel/hotplug/udev.html. Includes code from the Linux kernel source tree.